. . .As it was, he spread his wings and flopped down, and Tita took him into the cabin and tied him to the third leg of the table. There he made himself very disagreeable to the little white hen, and gobbled angrily at the red rooster, and even pecked at Tita herself when she came near. The excerpt here on Goodreads is for another of the Twins books. 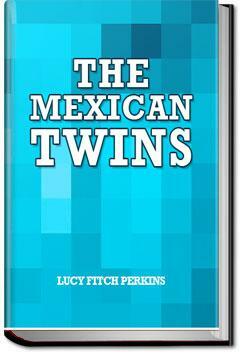 It is not from The Mexican Twins. This book is a little heavier on social commentary than the others I have read, but is still enjoyable. I read this book alound to the girls and we like it especially since quite a few of the customs were familiar to us with living here in Mexico. And also we learned more about the reasons for some of the rituals that are done here.